On Friday night Squire, Lincoln, and I got together with our friends Jen, Andrew, and Davis for a fantastic date night. We taste tested 5 different chocolate covered premium ice cream bars! Our tummies were a little upset with us after such an ordeal, but it was delicious in the moment. :) We tested: Magnum, Dove, Häagen-Dazs, Klondike, and Kirkland (Costco food-court). Want to know which one one the contest?! You'll have to read about it here. 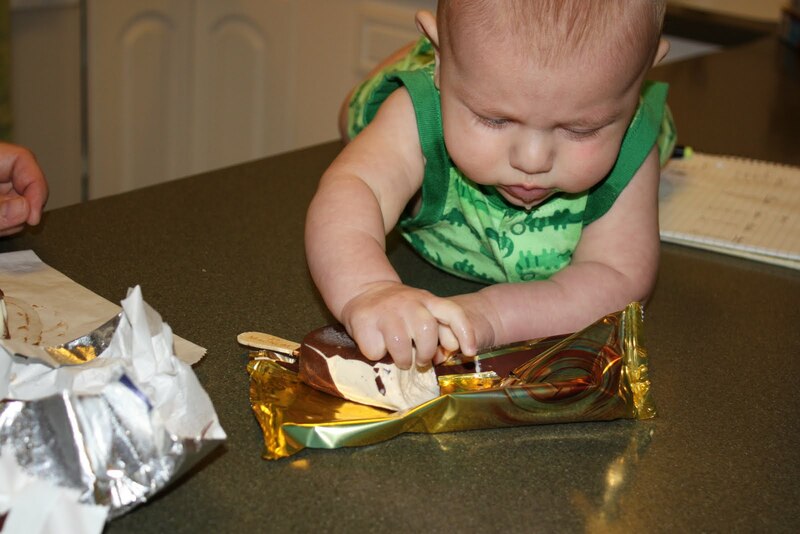 Lincoln, doing his own evaluation on the Magnum bar.